It’s that time of year again! Days on end of a strong “blow”, as native islanders would call it, tends to expose treasures that have remained hidden from the salty elements for many years. Whether you are in search of miles of phenomenal shelling, a scattering of sea glass, or treasures washed ashore from shipwrecks of yore, the beaches of Hatteras Island are the place to be! The waters that surround our barrier island are known as the Graveyard of the Atlantic due to the convergence of two strong ocean currents, the Labrador and the Gulf Stream, as well as the treacherous, ever-changing Diamond Shoals. Thousands of ill-fated boats and their crews are said to have been lost near Cape Hatteras. Other factors leading to the grim total of ships lost to sea were the Civil War, German submarine attacks, as well as pirate attacks. Many shipwrecks have found their home on the sea floor but there are a few that have been laid to rest on our shores. These mysterious pieces of maritime history can occasionally be seen as the sand shifts to uncover these treasures. Located seven miles south of Oregon Inlet campground or 30 miles north of Buxton. Park at Pea Island Comfort Station. 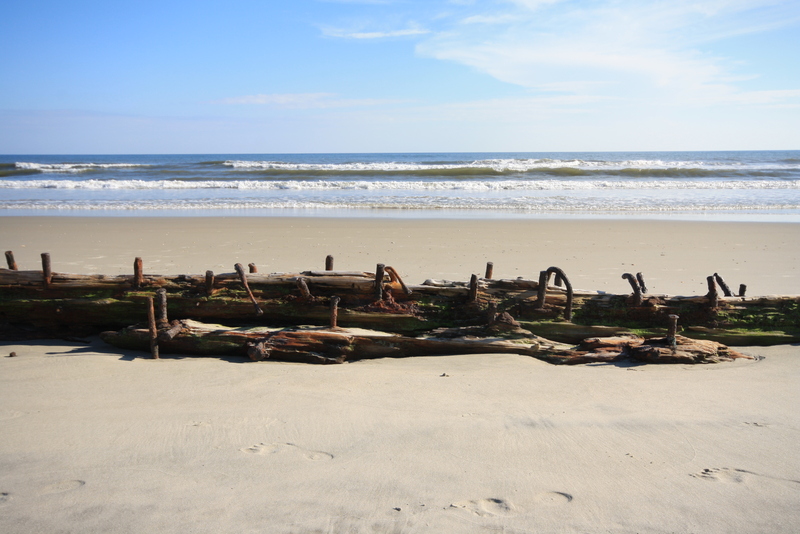 Wooden remains are occasionally exposed, as well as a wooden bow which is located on the beach 1 mile north. Located off of Ramp #27 on the beach. Turn down Lighthouse Road in Buxton. Follow the road 1.7 miles to its end in the gravel parking lot. Walk over the ramp to the beach, then south along the beach 1/2 miles and west 1/4 mile to the bow of the Altoona. Look for the parking area on the east side of NC Hwy 12, just south of the last building on the south end of Salvo, and 4/10 mile south of mile marker 43. 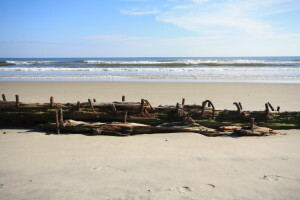 The visible part of the wreck can be seen in the surf at high or low tide, but more is visible during low tide. 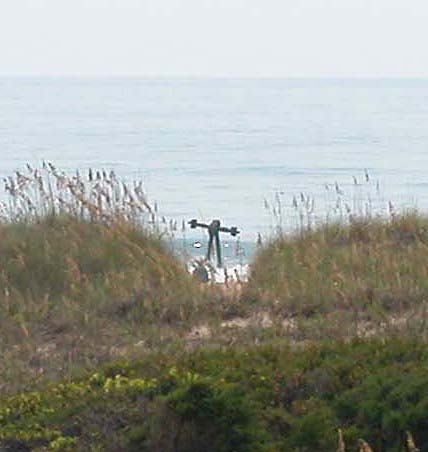 For more information on maritime history, be sure to visit the Graveyard of the Atlantic Museum in Hatteras!